1. Open the calendar to which you'd like to add an event by checking its box in the left panel. 2. Select the New button in the upper left corner, or double-click on the desired day and time on the calendar. NOTE: Double-check that the correct calendar is selected. If more than one calendar is open, the system automatically selects your default calendar..
2. 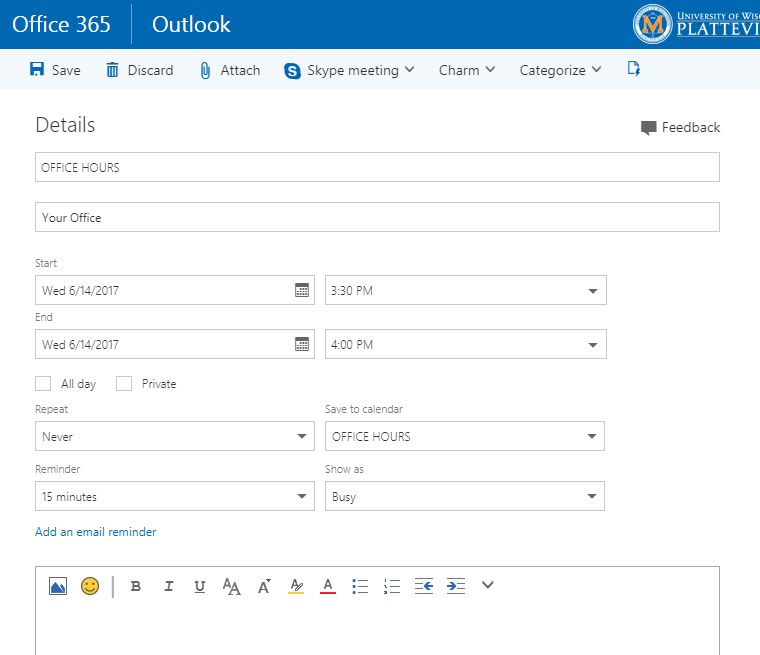 Outlook will open a Details pane to schedule your event. Enter the details for your event, such as the title, the location, date, and time. 3. 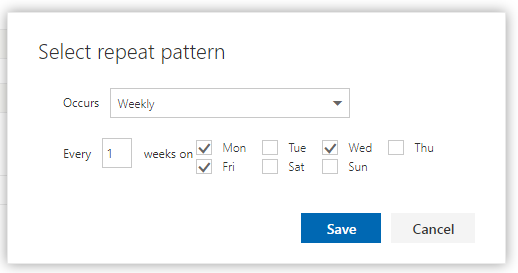 If you'd like to set an event that recurs, choose an option from the Repeat drop-down menu. If you'd like this event to reoccur on particular days or weeks that are not already an option, select Other. 4. Select the start and end dates for the recurrence. 5. Click Save in the top left corner of the Details pane. 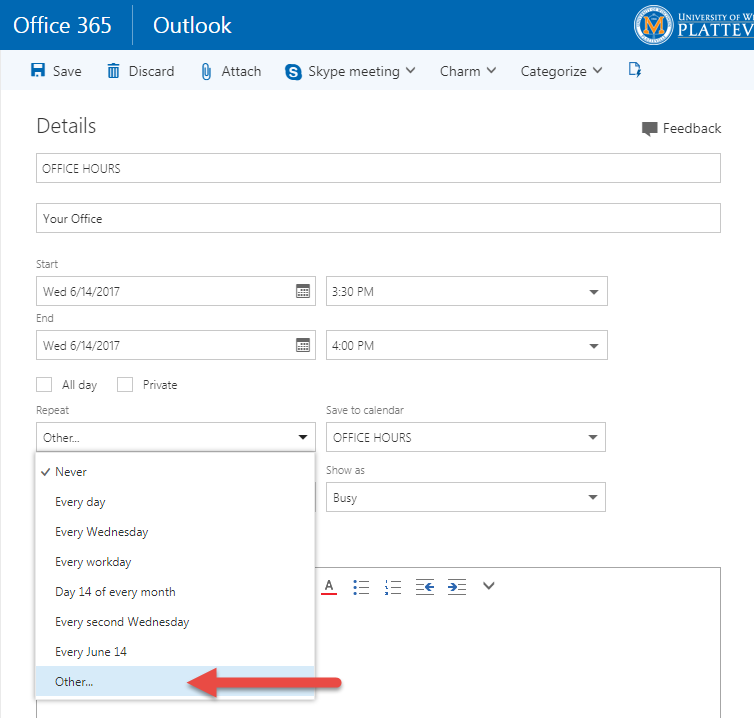 This will save your event to the selected calendar.